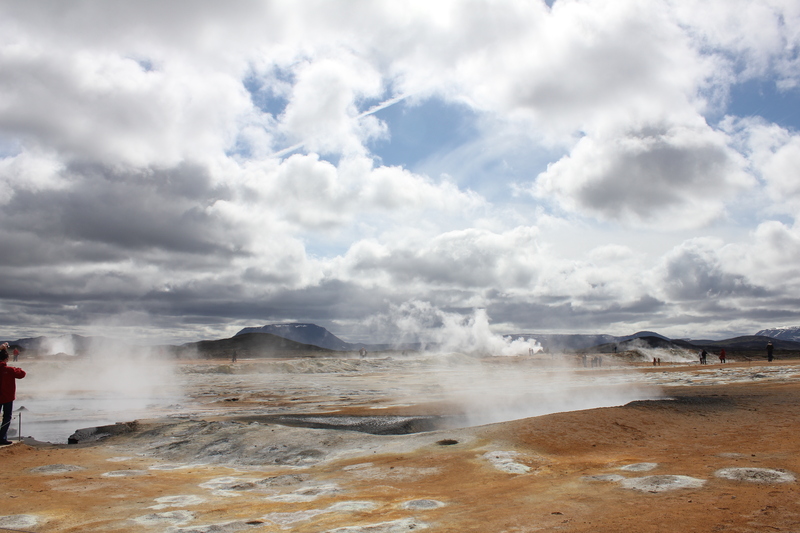 Travel to Iceland & the Arctic Circle. Does the sun ever set? The main reason we decided on this cruise itinerary for our 10th Anniversary was that we were going to a place that frankly none of our friends had ever been to before. 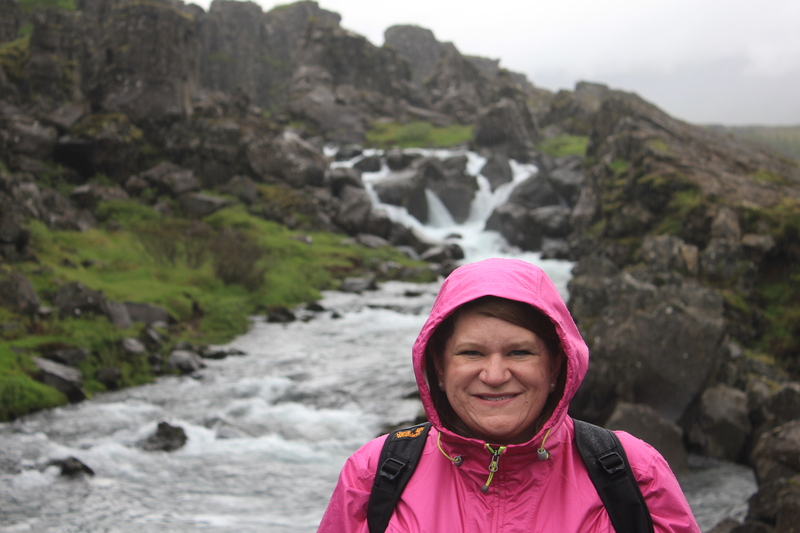 A year ago, if someone would have asked me to create a list of the Top 20 places in the world to visit, I can say that Iceland would NOT have made the list….and, would I had been so totally wrong!!! 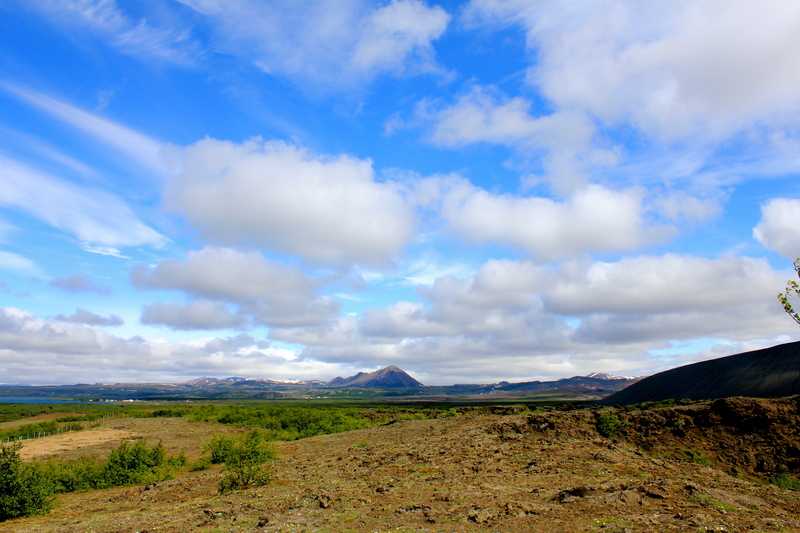 Our trip to Iceland was during the first week of July. 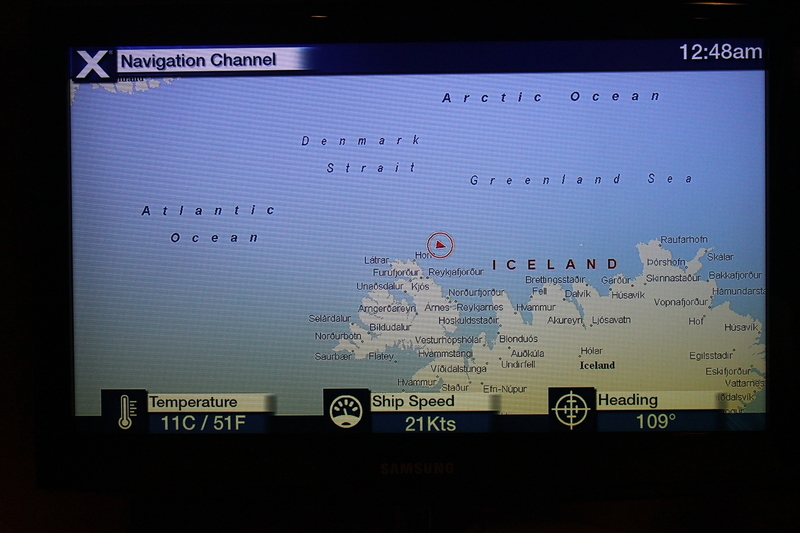 All one has to do is look at a map to see where Iceland is, and to realize…it should be cold there!? But, after researching weather conditions, we saw that this time of year, the average temperature is in the 60s with lows in the 50s. What is usual is changing weather conditions, i.e., sunny then rainy. So, we prepared for chilly rainy weather. And, for the most part, we were lucky with the weather!!! 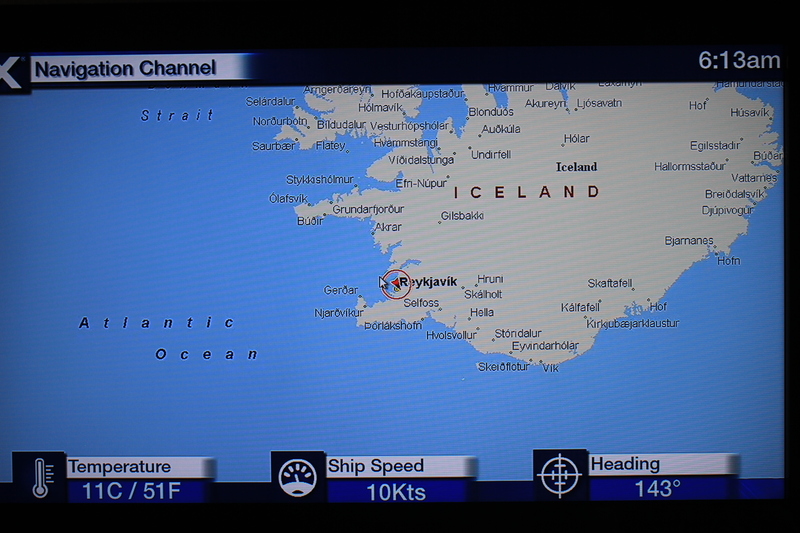 We had two ports of call in Iceland. 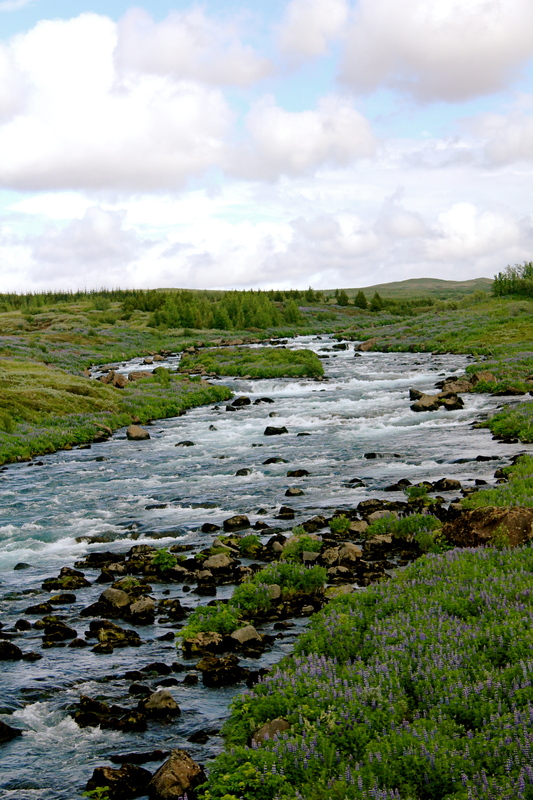 The first was for two days in Reykjavik, the capital located on the southwestern coast, and one day in Akureyri (Ak u ray ri), a small fishing village located on the northwestern coast. 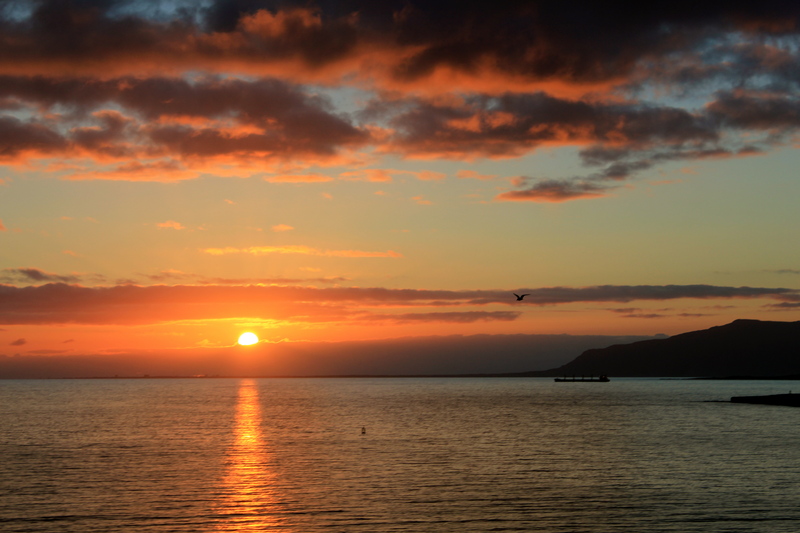 And, as a special treat, once leaving Iceland, our ship would be above the Arctic Circle for several hours, meaning at this time of year the sun NEVER sets below the horizon! The scenery is just breathtakingly amazing. Honestly, we felt as if we were living inside a painting at times. 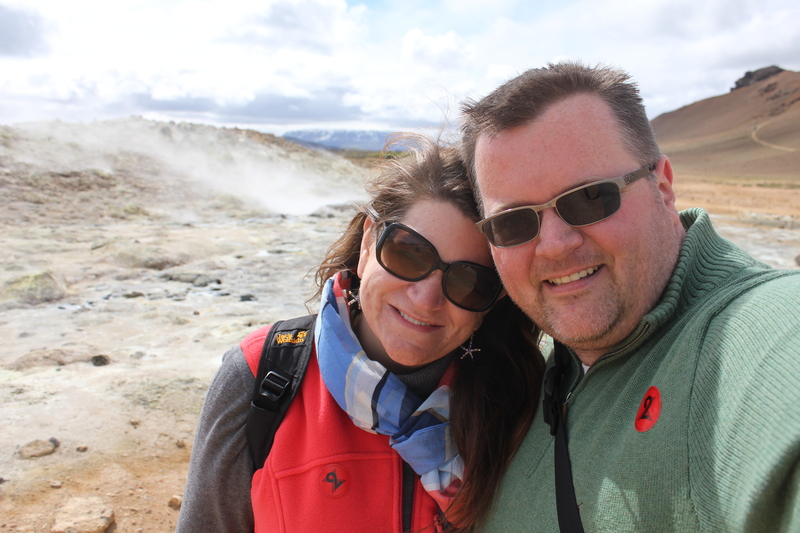 In Reykjavik, we took an 8 hour bus tour called the “Golden Circle”, where we saw geysirs, Gullfoss Waterfall, glaciers, and the surrounding landscapes. 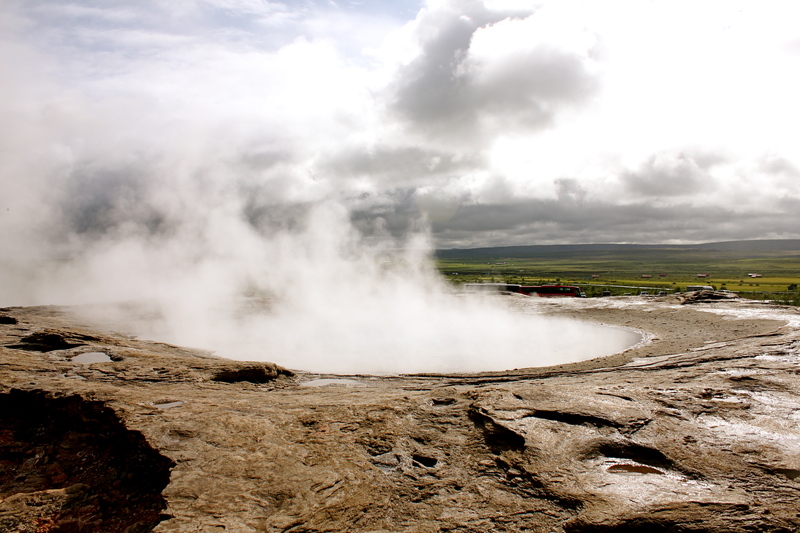 Iceland was created as a result of volcanoes, and there are still plenty active geothermal sites today. This makes for a contrast in eery and beautiful landscapes, which at times it literally felt like we were really standing inside of a painting. Pictures and words cannot do the sights justice. Our second day was spent Whale Watching, which is something Amanda has wanted to do for a long time. We did see some small whales, but it was not the season for those large humpback whales. 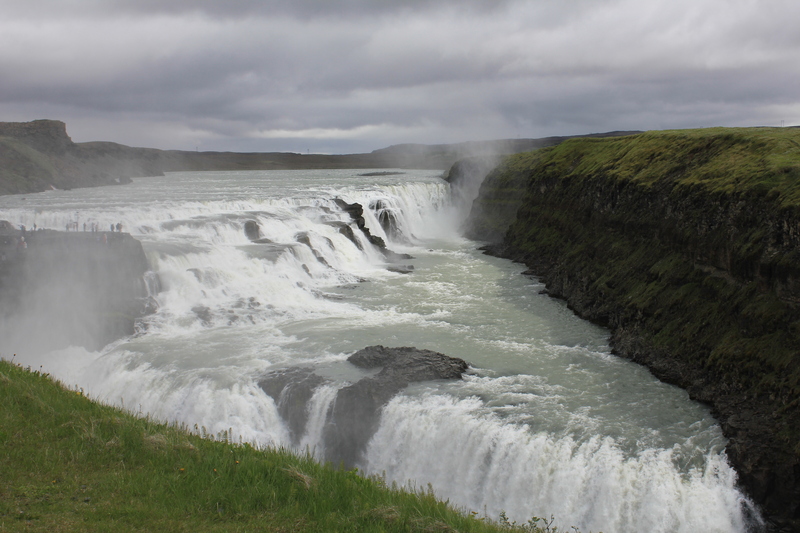 One of our first stops at Gullfoss Waterfalls, and really the only time we encountered rain. 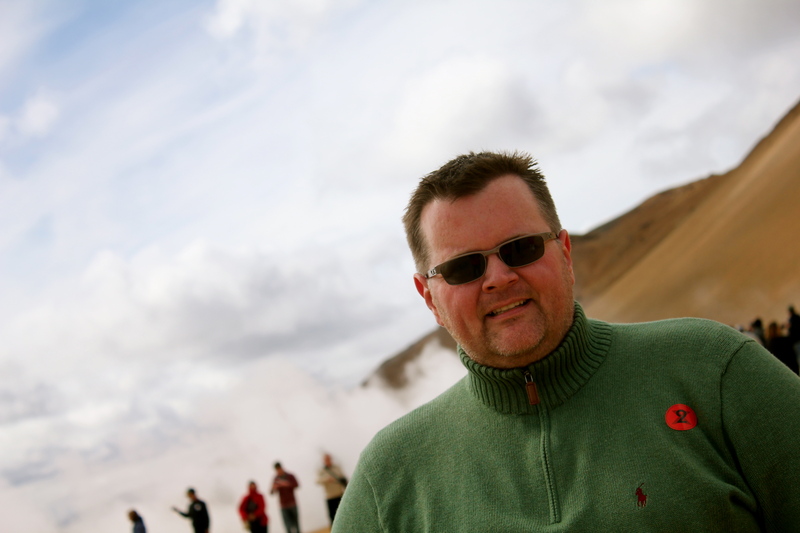 One of the many geysirs in Iceland. It would go off randomly on average every 10 minutes. Yep….it is midnight…and this is darkness…NOT! 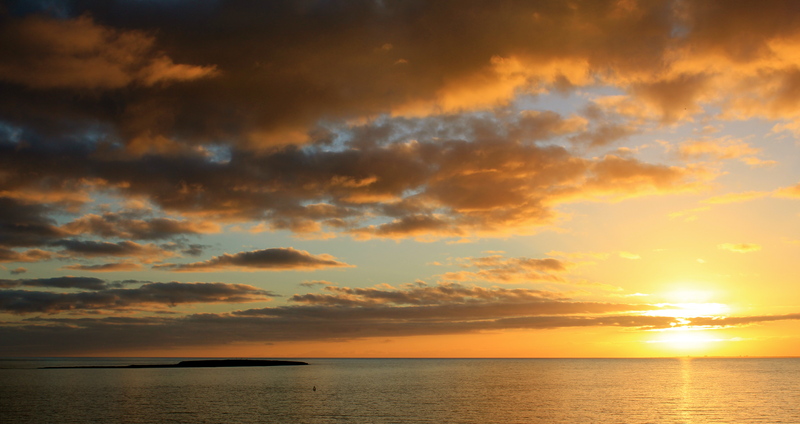 It had been a cloudy day for the most part, but just as we returned to our ship from the first day’s excursion, the clouds parted to show a beautiful sunset…. I just loved this lonely little house in the bay where our shipped was docked. 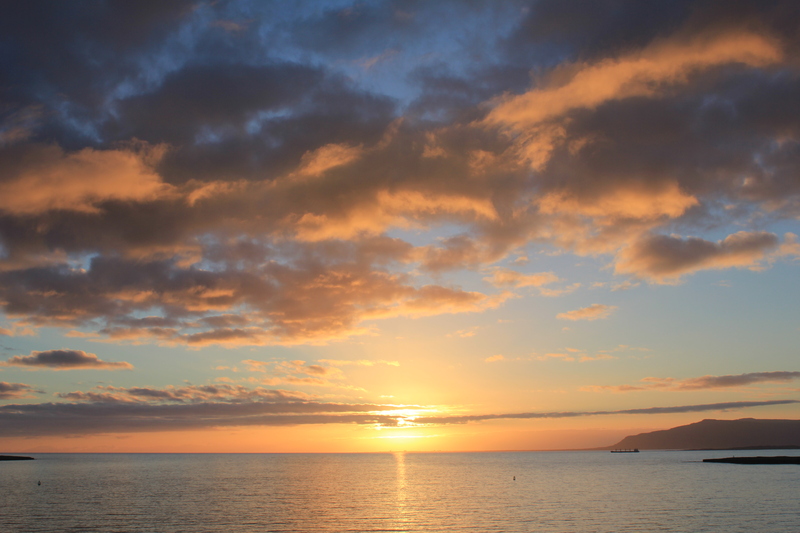 This picture is at 11pm at night…..yeah…at night! The only thing we did not see up close were glaciers, which you can see just below the clouds on top of the mountains in the distance. After about 20 minutes, and probably as many false starts….I FINALLY got the picture!! 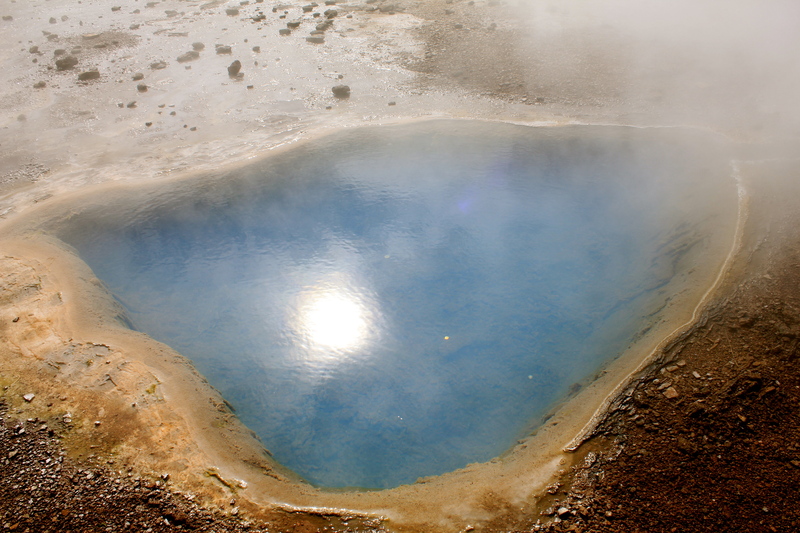 The water is so beautiful, but do not touch it as it is almost at boiling temperature! 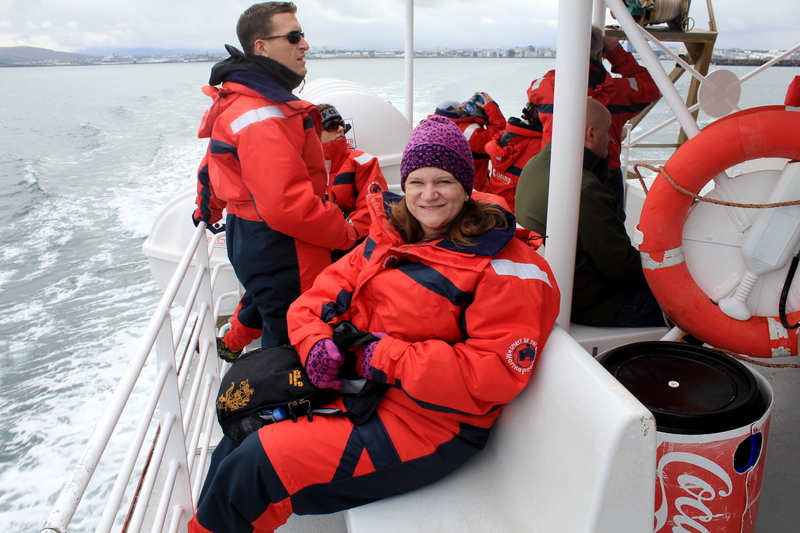 Day 2 in Reykjavik: Amanda has always wanted to go whale watching! We did see small whales, but the large humpback whales are usually seen in like October. The suit is to keep us warm and dry, as it was cold and windy on the open sea. 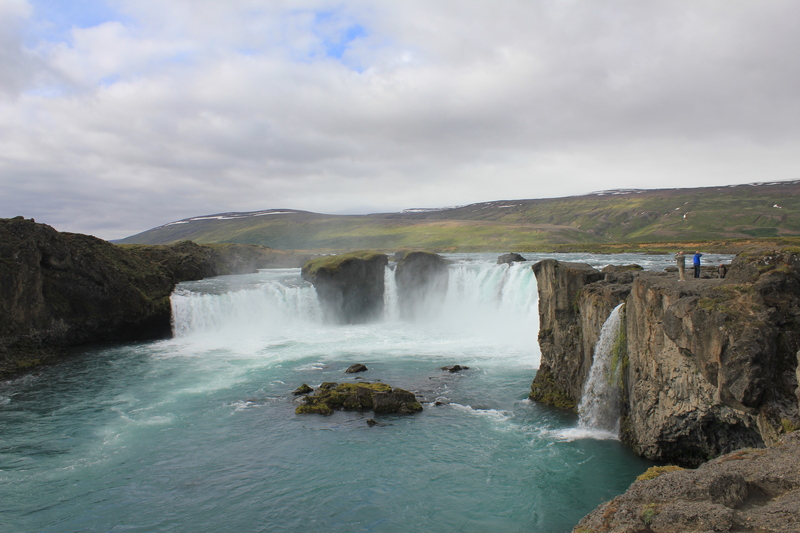 Day 7 of our cruise & the 3rd day in Iceland: If you love nature and scenery, then Iceland is the place to visit. 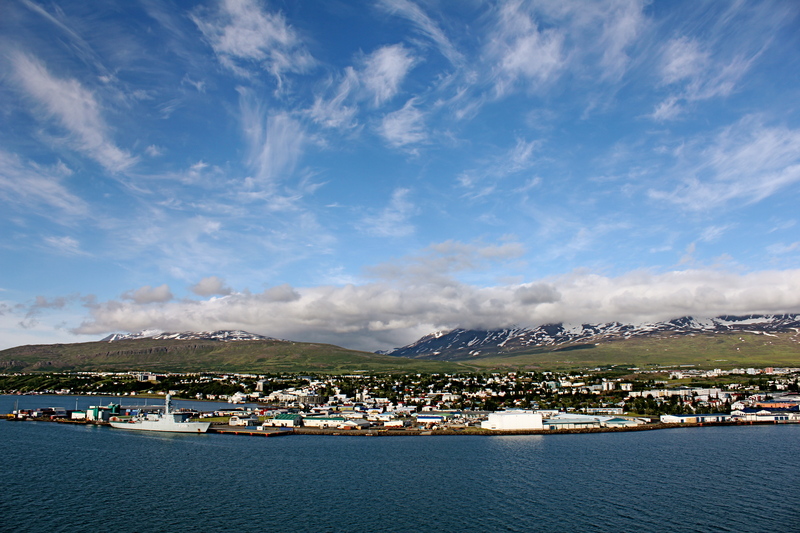 We sailed from Rekjavik around the western side of Iceland to the very north to a town called Akureyri (Ak u ray ri). 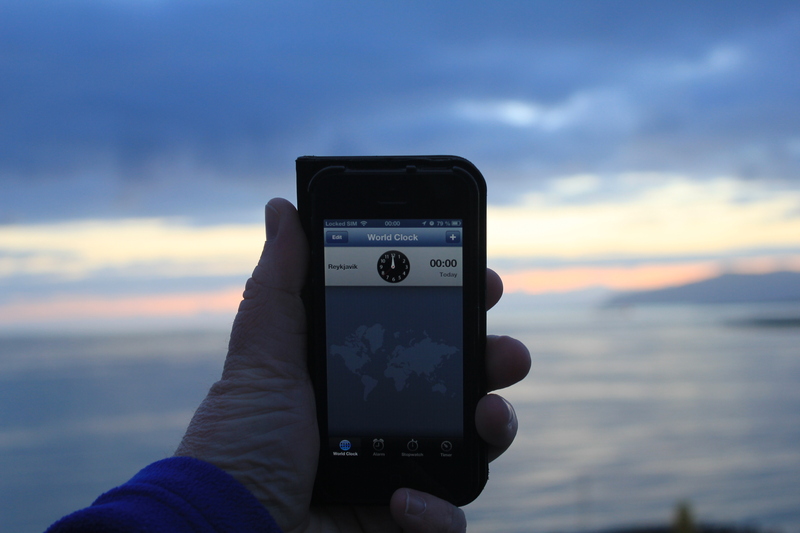 We were within 50 miles of the arctic circle, and the weather was fantastic!! 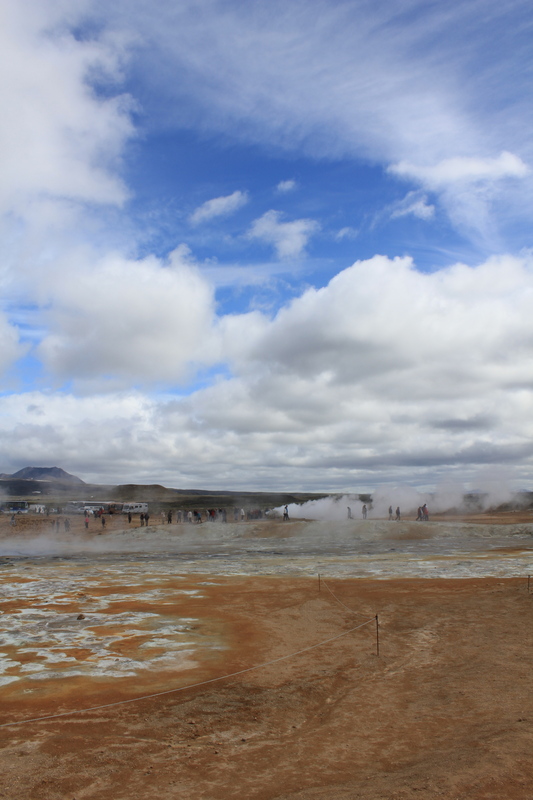 This area of Iceland is extremely warm due to the volcanic activity. 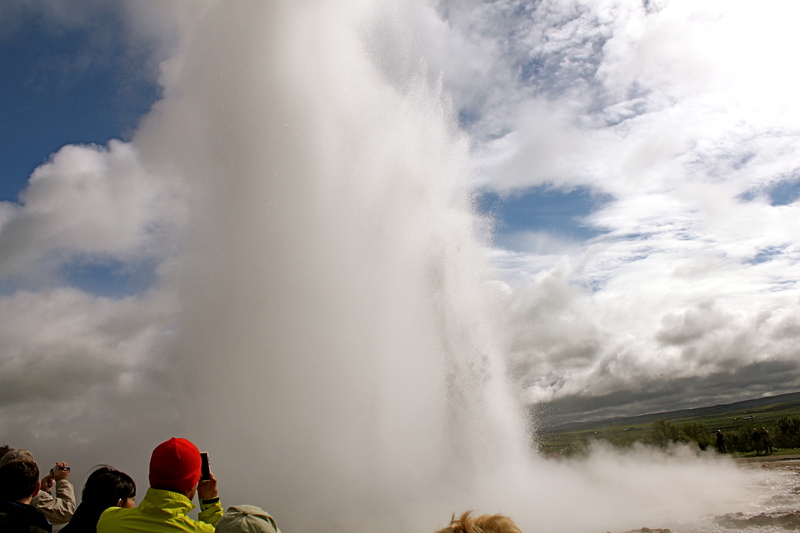 Here we took another bus tour, this a 6-hour tour called the “Jewels of the North”, which we saw the Godafoss Waterfall, sulfur pits, and more beautiful scenery. 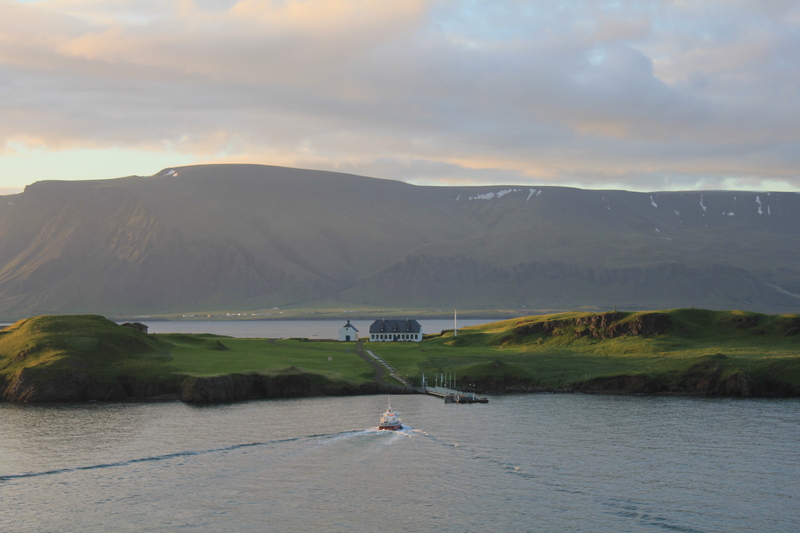 The small fishing village of Akureyri, Iceland. Not much to see and do in the village, as all the excursions here are about seeing nature! Amazing color of the ice blue water!! This area was called “The Devil’s Kitchen”. 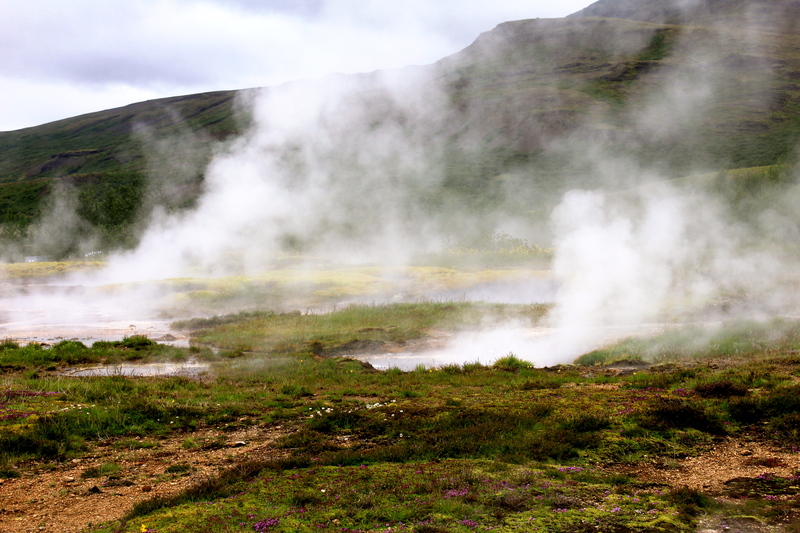 The soil is red like on Mars (not that I have been to Mars), and there are dozens of steam vents throughout the flat landscape. Incredible. 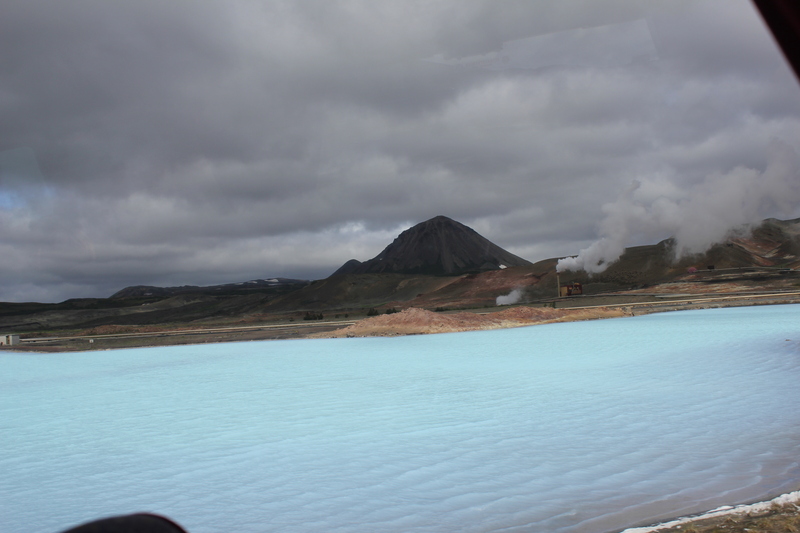 Iceland is very interesting….you drive 5 miles through a landscape that looks like the surface of the moon, and then 5 more in lush surroundings. Using the people walking down below as a reference, this area has a legend that the stone structures were actually once trolls that became frozen, however they are told to come to life at times. 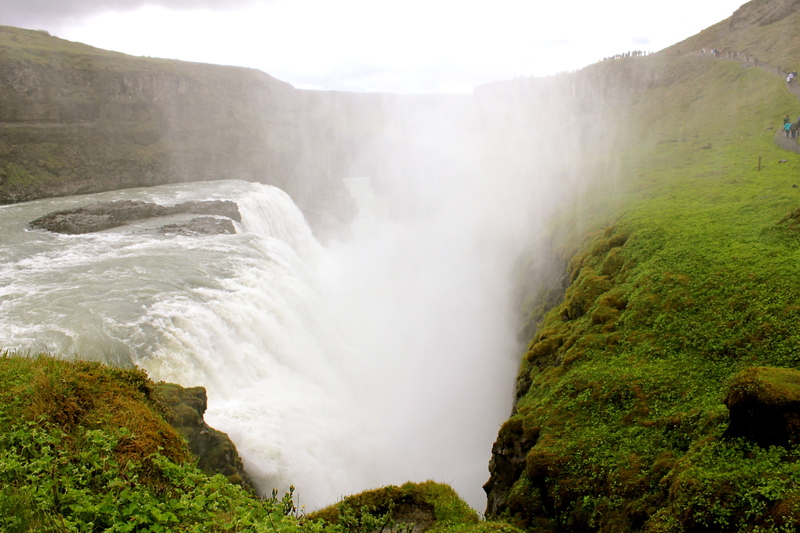 At the top side of the Godafoss Waterfalls that plunge a hundred feet down. 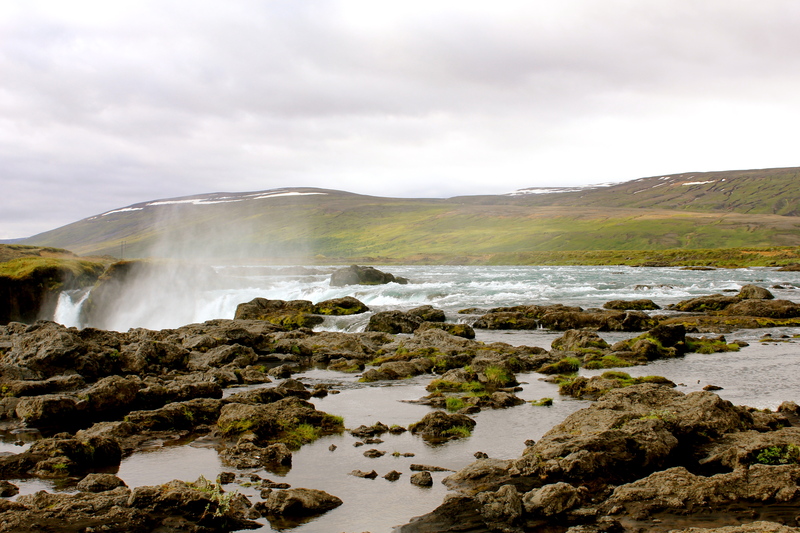 Godafoss Waterfalls….the people standing on the cliff on the right help to give it perspective. 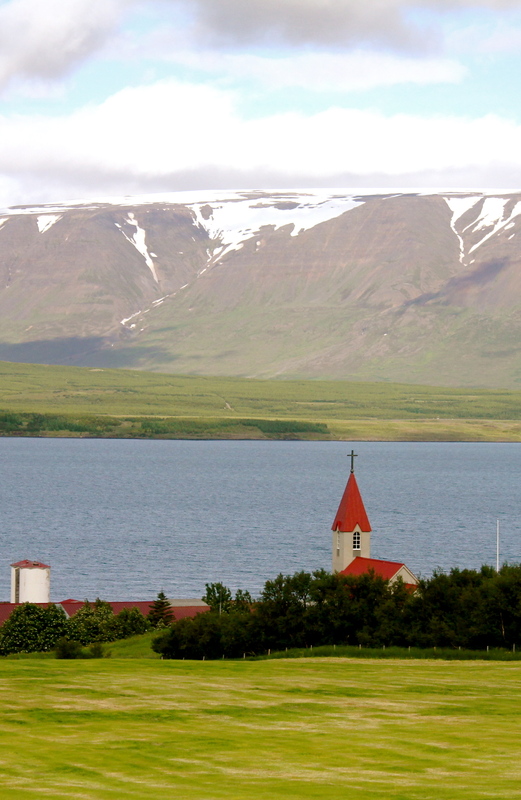 The village of Akureyri, Iceland. Not much to see and do in the village, as all the excursions here were to see nature. I so love the colors in this photo. 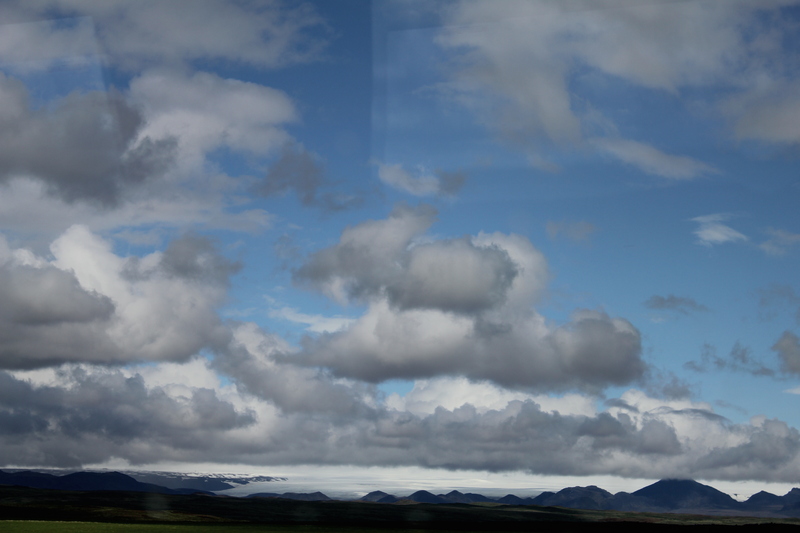 Our position as we were crossing the arctic circle….we had to pull the curtains closed, and wear sleep masks to completely fall asleep with the sun out. 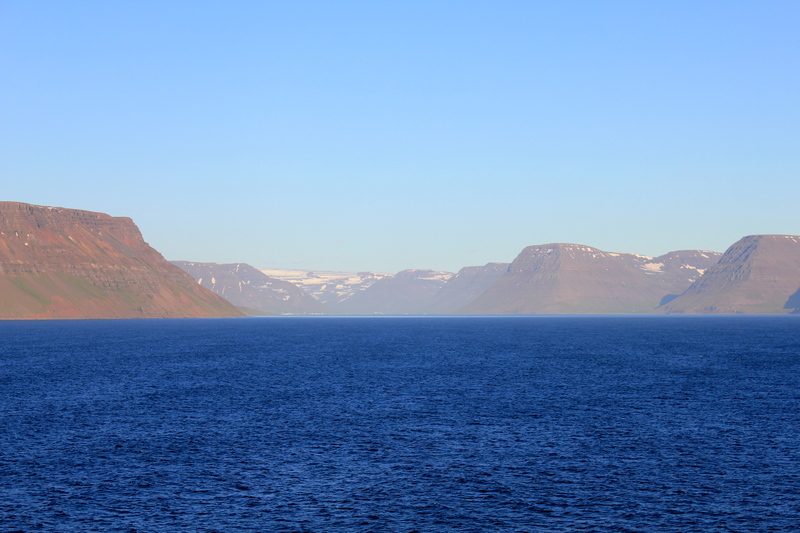 The blues were amazing from the water to the sky with brown, red, grey mountains splitting the two colors. 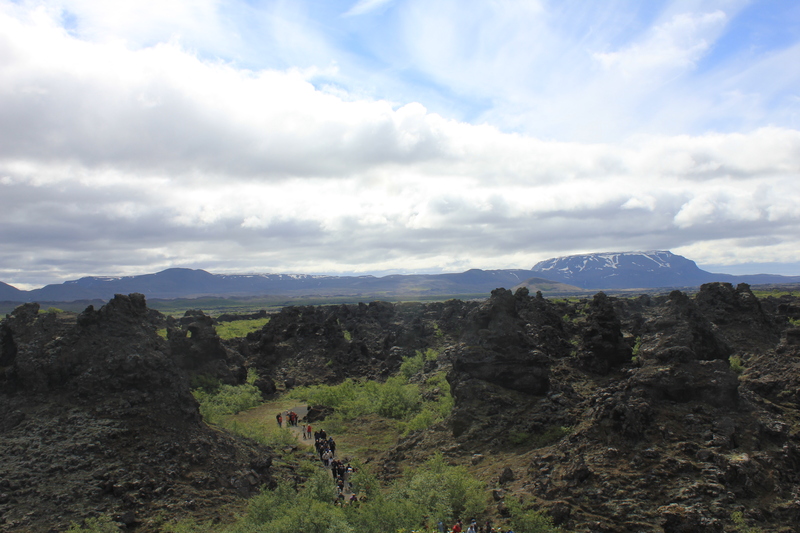 So, this was our three days in Iceland. What was a place that was once not on our Top 20 of places to visit, may have actually made the Top 10 list of amazing places we have ever been!!! !